You know you love Ninja Outreach! That's why you are reading this blog post, after all. You went through its extensive set of tutorials, and now you want to take things to the next level. Ninja Outreach is the best tool when it comes to creating buzz around your website, products and services. And its power grows exponentially when you combine it with a couple of third-party tools. 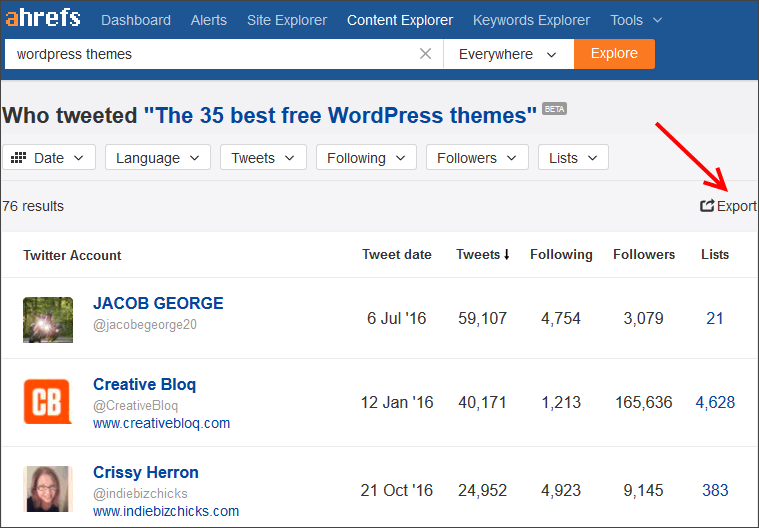 Here are three ninja tactics that will help you discover influential industry bloggers, find lots of raving social media fans, boost website traffic and get links fast. ScrapeBox has gotten a bad reputation because it includes an automated blog comment poster. 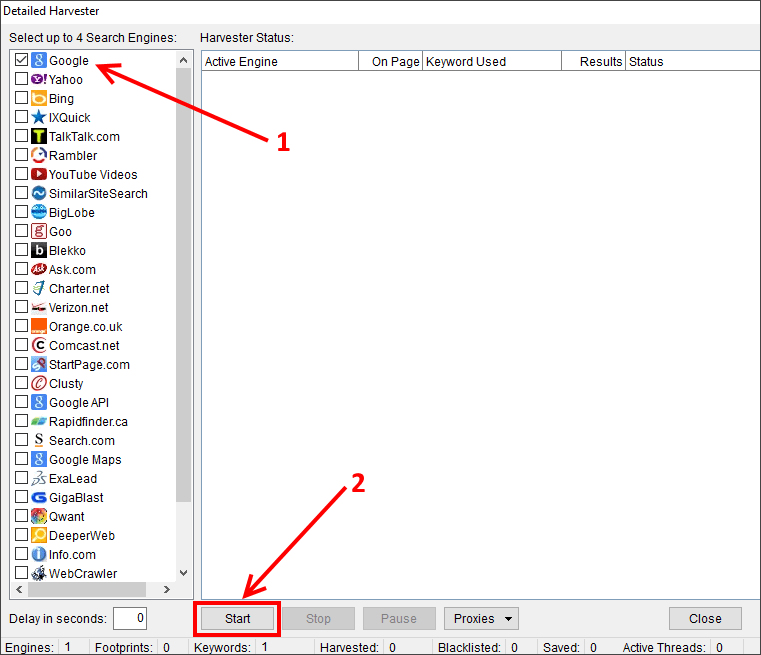 But it has a huge collection of useful SEO tools, including a fantastic URL harvester. And at Randombyte, we fire it up and use it whenever we launch a new project. 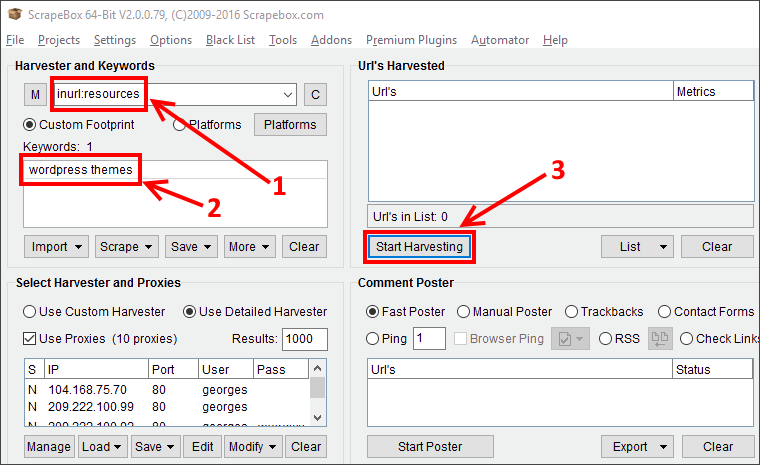 Input your target keyword(s), and then press the "Start Harvesting" button. Google's search results continue to be the most relevant, but feel free to add Yahoo, Bing, or your favorite search engine to the list. Then, press the "Start" button. ScrapeBox will query Google's database, returning the top 100 search results for each keyword. 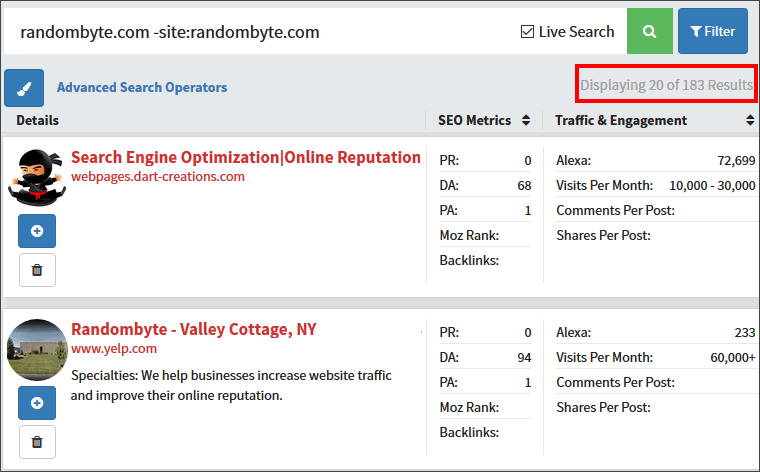 Tip: You need to use proxies if you work with several keywords. Fortunately, ScrapeBox also includes a free proxy scraper. Some of the harvested domains may show up several times in Google's search results, so we must filter them. It's time to export our results! 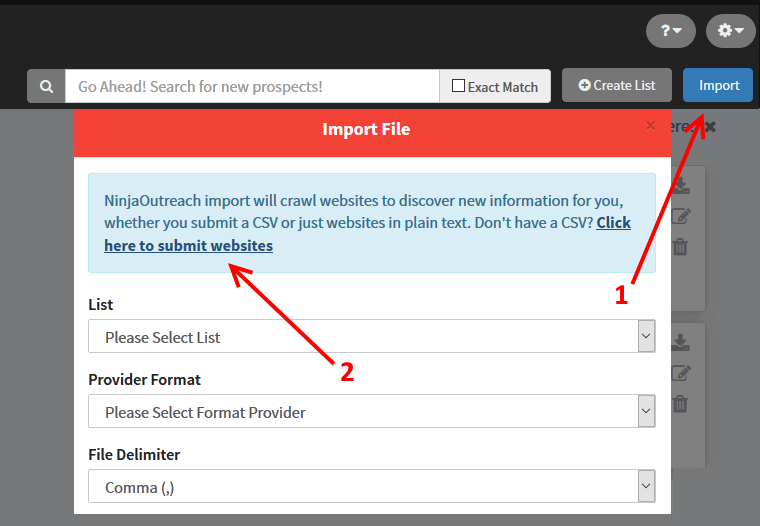 Ninja Outreach can access clipboard data, so there's no need to export, and then import files. This is where things get interesting. Log into your Ninja Outreach account, and then create a new list. Skip this step if you plan to add prospects to an existing list, of course. 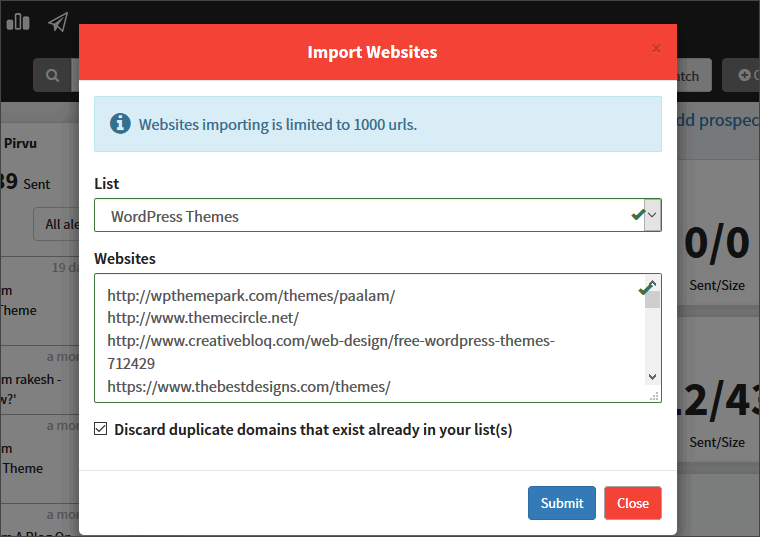 Then, click the "Import" button and choose the "Click here to submit websites" link. 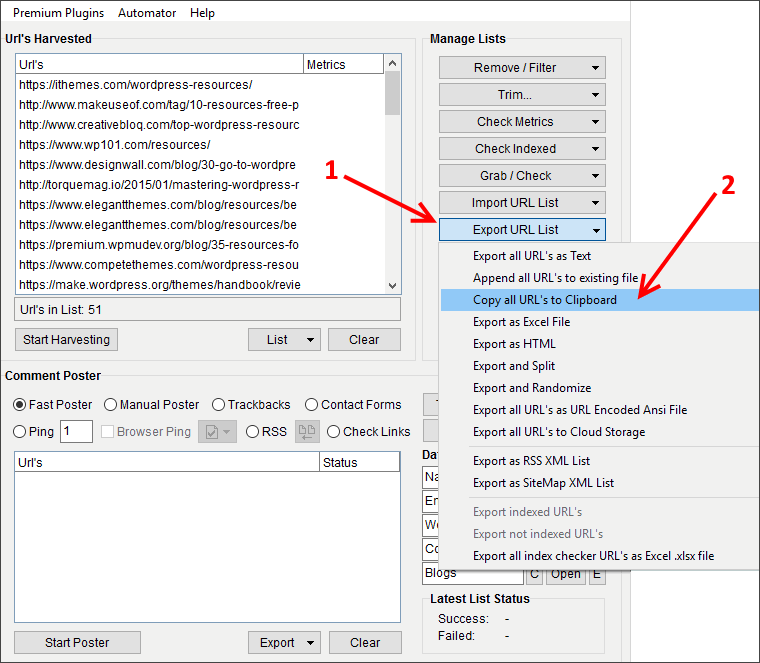 Choose your list, and then paste ScrapeBox's output in the "Websites" field. 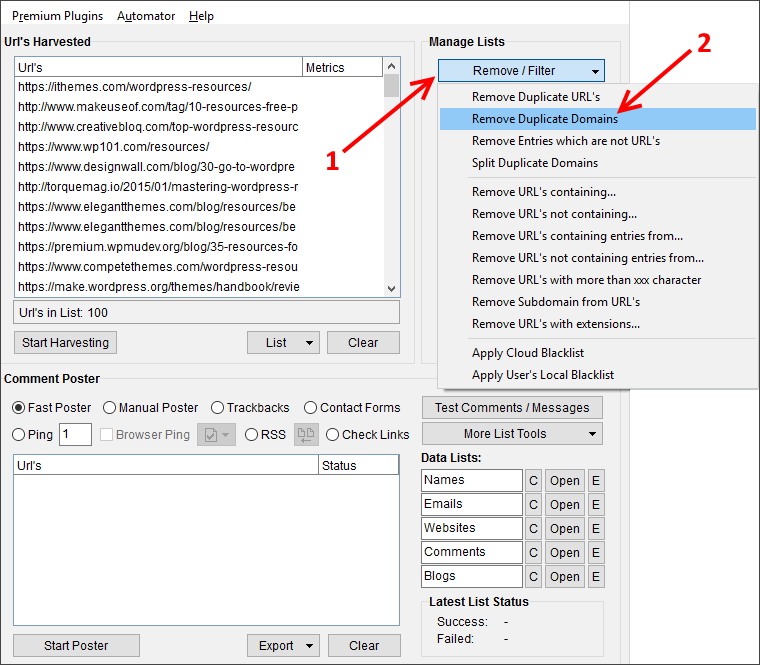 Keep the "Discard duplicate domains" checkbox enabled; otherwise, you may upset some bloggers by emailing them several times. It's time to start emailing your new list. Be sure to visit each website before emailing its webmaster, though. 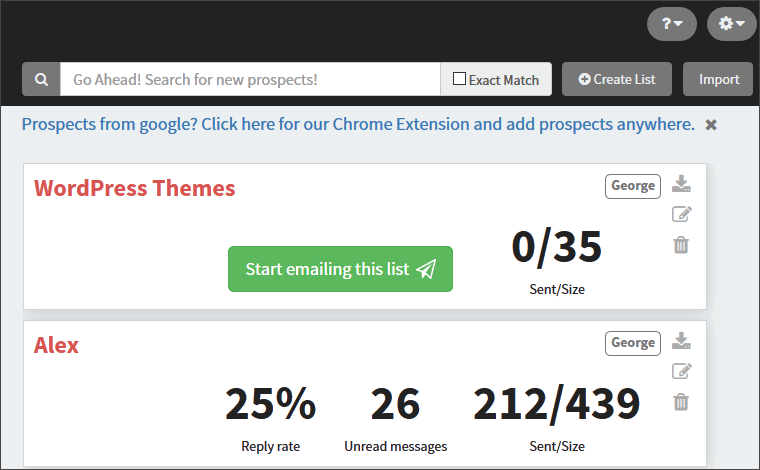 You want to personalize each email, and thus significantly boost your response rate. Just like Ninja Outreach, Ahrefs is a tool I simply couldn't live without. Let's see how you can use it to get lots of Twitter fans, who will enthusiastically retweet your content. 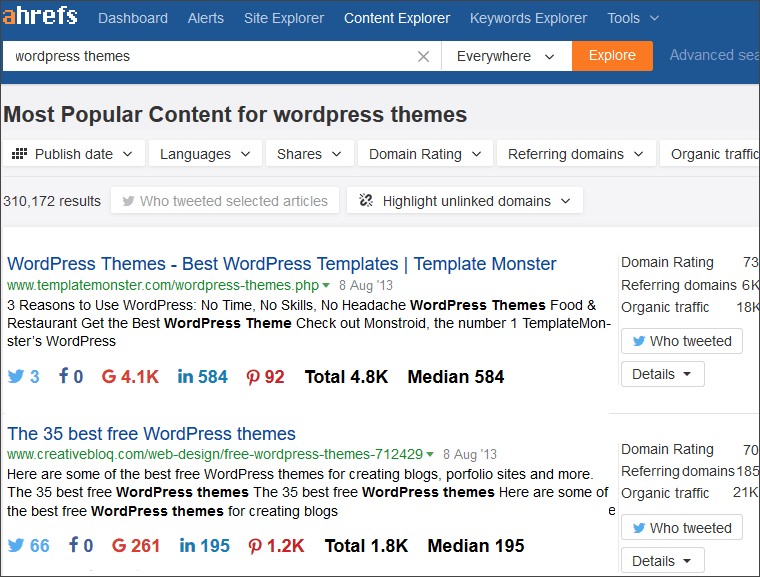 Log into Ahrefs, and then click the "Content Explorer" link. Type in the desired keyword, and then press the "Explore" button. Ahrefs will display lots of articles that have gotten a huge number of social shares. 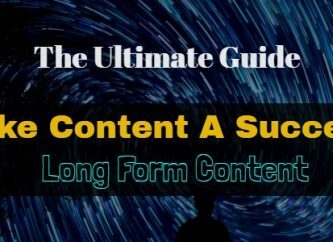 Content Explorer gives us a big list of proven article ideas. It also shows who has tweeted the links to those articles. Click the "Who tweeted" button next to the article that is similar to your content piece. You will see a list of people who shared that article with their followers. This means that if you have a similar - and hopefully better! 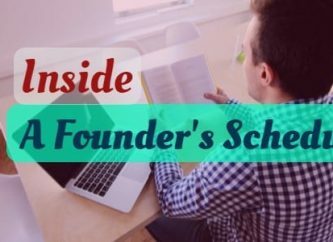 – content piece, you've already got a qualified list of prospects. Most of these people will be eager to share your content, and thus send you free website traffic. Start by following them on Twitter. Resist the temptation to ask for a retweet right away, though. Your response rate will explode if you romance them first. And this is exactly the place where Ninja Outreach makes itself useful once again. 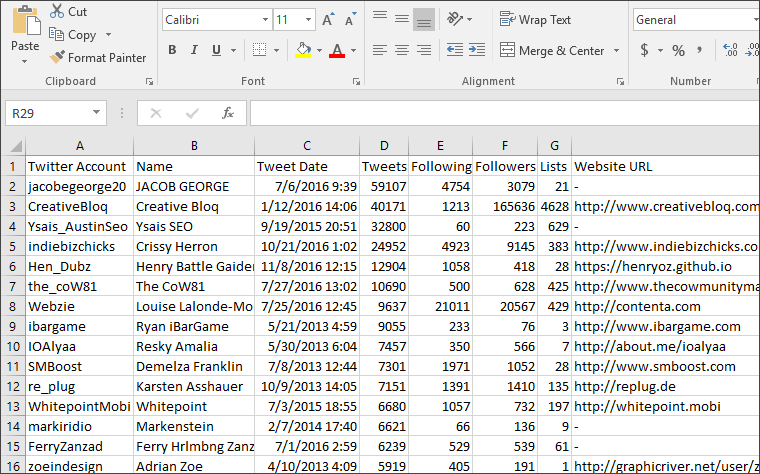 Export the list, and then open it in Excel or your favorite spreadsheet application. Sort your prospects, identifying the ones that have websites. 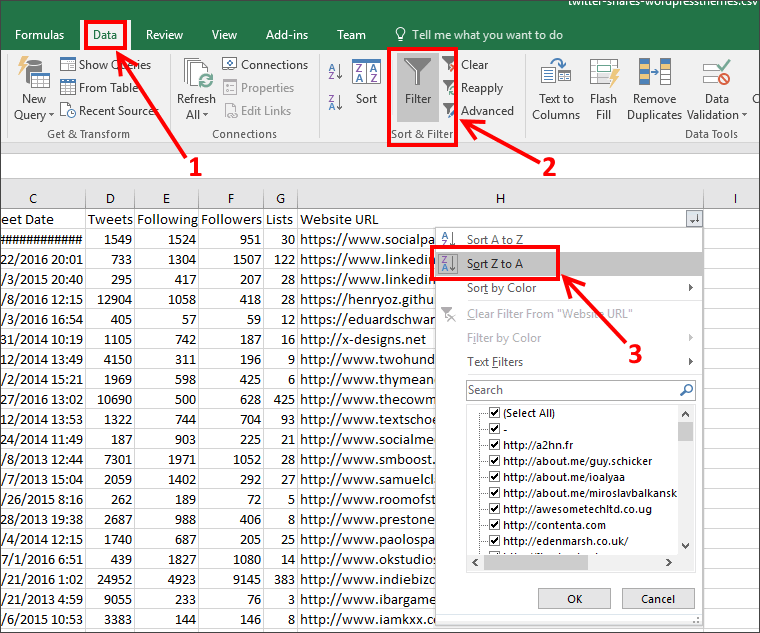 Click "Data" -> "Filter" -> "Sort Z to A" to display all the prospects that have a website at the top of the spreadsheet. URLs gathered by ScrapeBox. 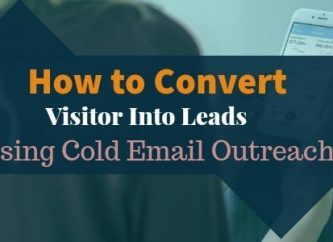 You will end up having a list of highly targeted prospects that includes contact info and detailed website metrics. Send emails that demonstrate your respect for their work, write insightful comments on their articles, and then politely ask for a social media share and – why not? – a link to your article. 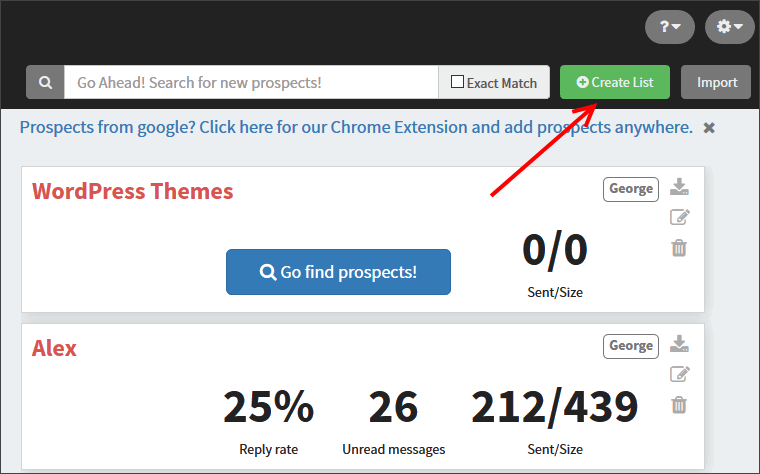 Ninja Outreach's "Live Search" feature is similar with ScrapeBox's URL harvester, so it can be used to find targeted prospects as well. It's easy to get links from people who have mentioned your content, but have forgotten to link back to your website. Go to the "Content Prospecting" tool, and then search for your business name or website URL, excluding the results that come from your own site. Check out the picture below to see a search string example. I don't know about you, but I will gladly get links from DA68 and DA94 domains anytime! Don't be put off by the small PA (Page Authority); a value of 1 shows just that the PA was measured for the other (www/non-www) version of the URL. The top industry influencers are bombarded with dozens of requests each day. So take your time and write outstanding content. Keep your readers in mind, teaching them as many useful things as you can. Be sure to create actionable content pieces. Show your website visitors what they need to do to get results, step by step. Then, use the tips above to find popular industry bloggers and people who have shared similar articles in the past. Contact them using personalized emails, which demonstrate that you know them and you appreciate their work. What do you think of the tips and tactics described above? How do you plan to use them? What would you do to improve them?